I have just finished the epic read Barkskins by Annie Proulx. Whilst its very long book that needs a certain amount of time to finish, I’d recommend it to anyone who enjoys epic historical fiction that is so superbly written and has strong leading characters that bring the settings to life. Set in the late 17th century, Charles Duquet and Rene Sel are two penniless Frenchmen, settling in and trying to conquer the new land of New France. 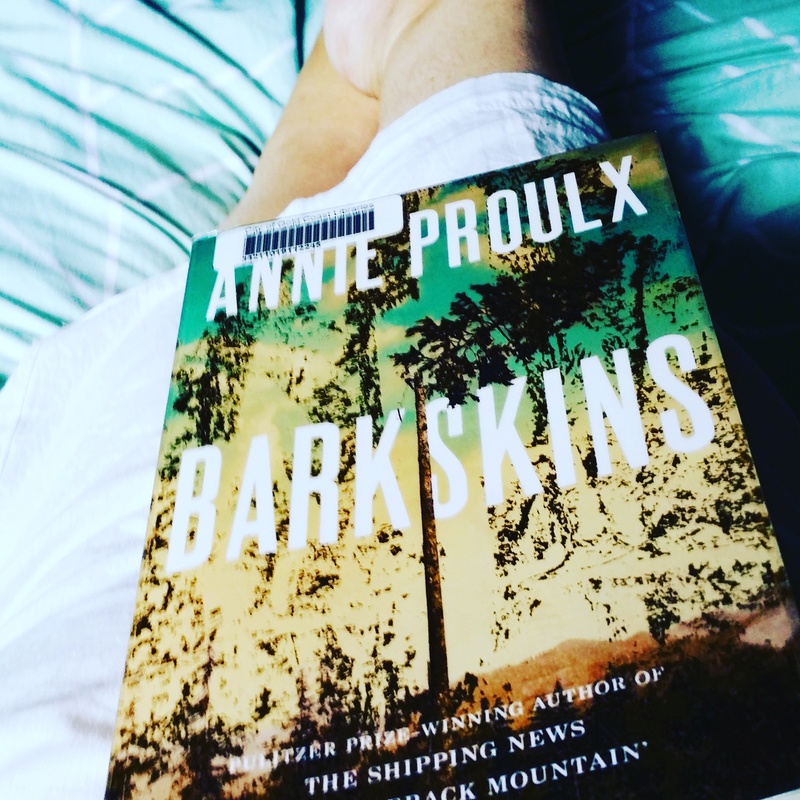 This epic read covers 300 years and deals with themes of colonisation and the effects of settlement on the Native Peoples (in this case the settlement of North America ), family relationships and loss, all set in the boreal forests and the consequent eradication of the forestry due to European settlement. This is a book that needs time to read, to immerse yourself into, and to completely understand the strong characters, superb writing and details that are covered here. The book continues down the lineage from the original main characters and the hardships they face while conquering the breathtaking landscape and peoples around them. Proulx has written Brookeback Mountain that had an Oscar winning film attached to it, so her work is first class. Anyone who loves epic historical fiction is in for a treat. 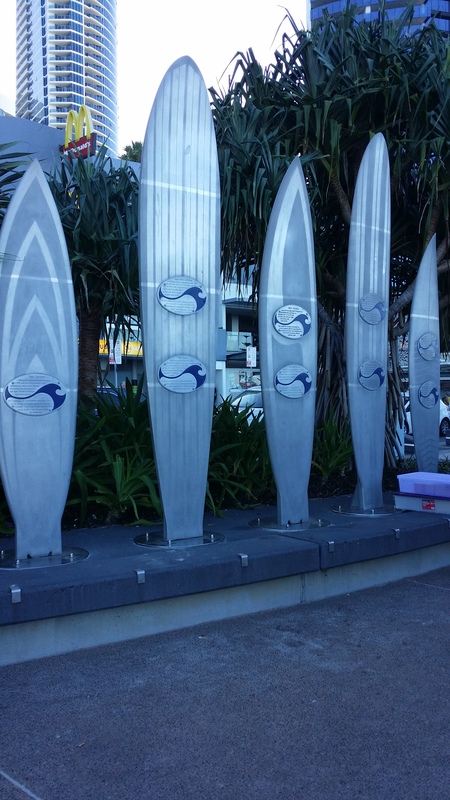 The Commonwealth Games are arriving on the Gold Coast next April 2018. Spanning a two week period, the Goldie has been preparing for the Games for what seems an age! There are road works, traffic jams, new buildings being constructed left right and centre (including a new light rail! ), as well as the added improvements to Carrara Stadium and the Olympic sized swimming pool in Southport. Its a multi sporting event, involving the 70 countries that make up the Commonwealth, including (in no particular order), Australia, Canada, UK, New Zealand and South Africa. It promises an array of sporting events, including Athletics, Swimming, Boxing and Badminton. Tickets range from $10 – $20 which I think is good value, although the opening ceremony is around $500! We are planning on getting a few tickets – I’m interested in the athletics, and hubby wants to watch the boxing. Rhian parked up in the last available space in the tiny school car park. Just one space left! Quickly, she manoeuvred the car into the spot. Jack and Carys had giggled at his enthusiasm, strapped in the back of the humungous vehicle, Carys looking small in the large car seat. They’d been living in Australia for just over a month now, and were loving it. The lifestyle was laid back, the weather fabulous, the scenery breathtaking. The route to the border to New South Wales had taken them past eucalyptus trees, glimpses of azure blue ocean, and the smell of frangipani overwhelming the senses. They were lapping up the sights and sounds of this new landscape. Just last weekend they had picnicked up beautiful Mount Tamborine with its gorgeous views of the Pacific Ocean, and the high-rise apartments that made-up Surfers Paradise. From this height the apartments looked like little Lego pieces arranged along the coastline. ‘Mam, hurry up or I’ll be late. I can see Ryan over there, waiting for me!’ Jack’s voice broke into her thoughts. She glanced at his eager face and smiled. He had settled beautifully into his new school with the minimum fuss and bother, enjoying the Australian school environment. Any nerves that she had felt were diminished the very first day when Jack had skipped out of school, chatting away to a group of other boys. At nine years old, he was young enough to adapt quickly to his new life. Carys on the other hand, was not so keen on the crèche that they’d enrolled her into. Rhian thought that she was still cranky from the long plane journey and the heat. She was not sleeping as soundly as she had in Wales. Rhian made a mental note to buy a free-standing fan to help cool the evenings. Unbuckling the car seat, she held onto their hands whilst they crossed the road to the school gates. The sun was already a golden globe in the sky, promising another day hot sunshine. She smiled to herself as she remembered the first week that she had stood at the school gates waiting for Jack to appear. She had been chattering away to Carys when they were surrounded by a group of nine-year-old boys, Jack included. ‘Hello boys, how did school go?’ Rhian replied, looking at the faces gazing up at her with what can only be described as utter confusion! Jack giggled as he looked at their puzzled faces. ‘Don’t be cheeky, Jack!’ she replied, adjusting Carys t-shirt, Across the front were the words: I ❤ Australia in bold gold and green letters. 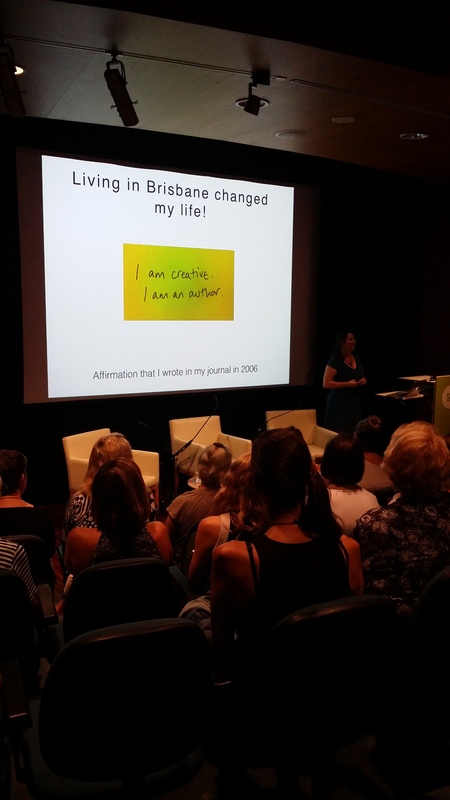 I recently attended a writing seminar at the State Library in Brisbane. Hosted by local author Belinda Pollard and author and entrepreneur Joanna Penn, the seminar offered tips on self publishing including things to do and things to avoid amongst the reams of self publishing advice that is available. 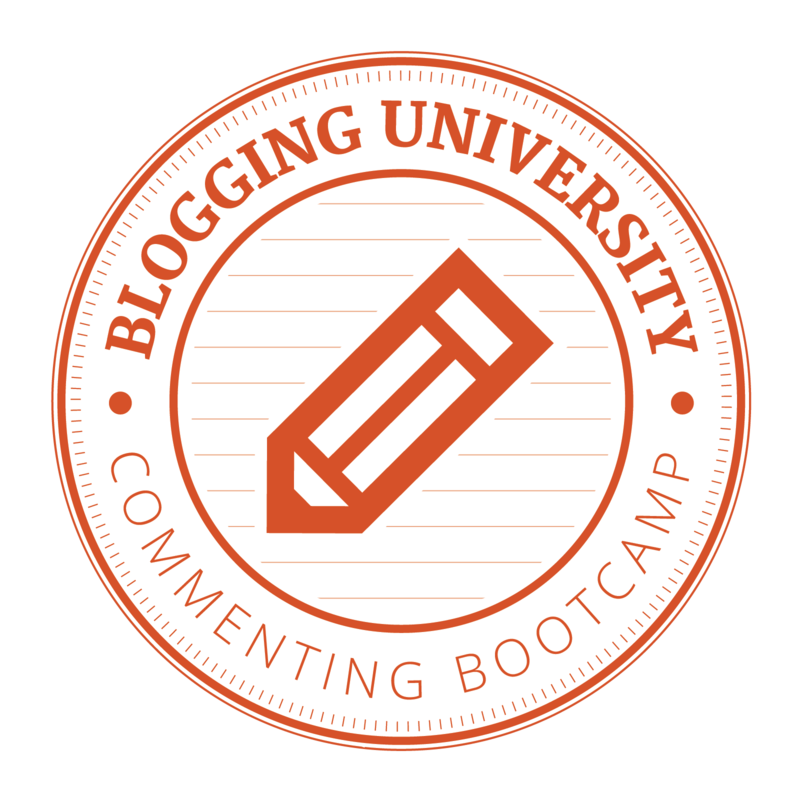 Joanna Penn runs a blog called The Creative Penn, she is an international speaker, author and self publishing guru. She writes best selling thrillers and offers tips and advise on formatting, book covers and self publishing on platforms such as Amazon’s KDP publishing site. There was a lot that I was familiar with, plus a few tips that were really helpful. I’m glad to say that the seminar was very informative, informal and fun.